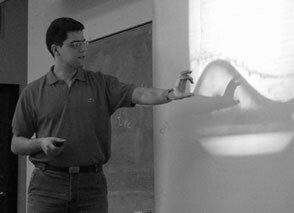 Photo: demonstrating vortex experiment for the students in Lets Talk Science Workshop, Edmonton, 2008. Zita and John Rosen Teaching Award for Principal Instructor, University of Alberta, 2009. One award across the university is granted annually to give special recognition to a graduate student principle instructor who is an especially skilled and dedicated teacher.